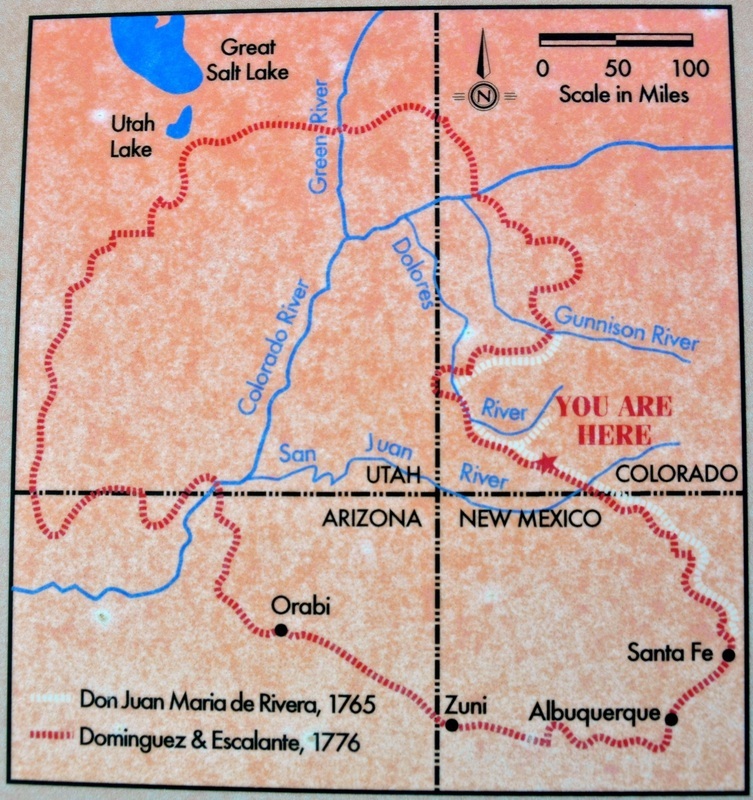 Dec. 9, 2014 - Back in 1776, while 13 British colonies were becoming an independent nation on the eastern side of North America, two Spanish priests were leading an expedition across present-day New Mexico, Colorado, Utah and Arizona. 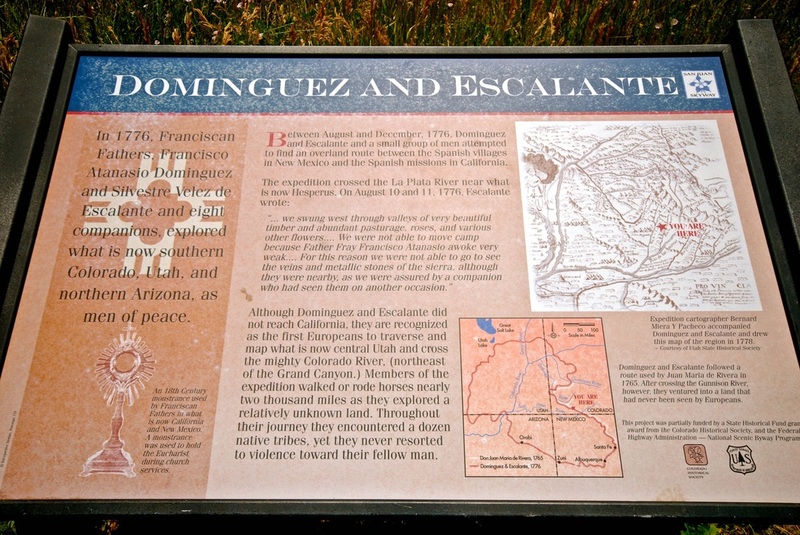 They were looking to establish a northern route from Santa Fe to the Spanish settlements in present-day California. But the mighty Colorado River stood in their way. In an area where the river is walled by huge red-rock canyons, crossing the Colorado was the ultimate challenge back then. 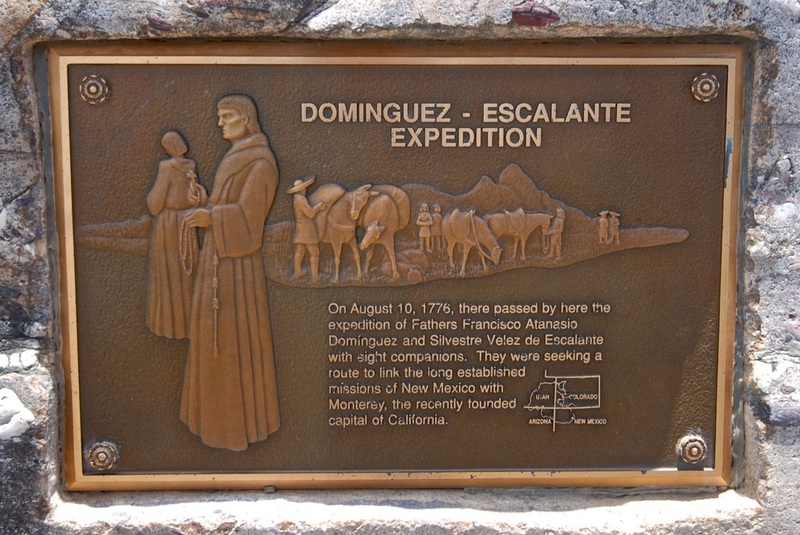 But it was achieved Nov. 7, 1776, by two Franciscan friars, Silvestre Velez de Escalante and Francisco Anastasio Dominguez. They may not be well-known in the rest of the country, where they become part of our hidden Hispanic heritage and where only the Lewis and Clark expedition (although 28 years later) is remembered. But in this area, the two Spanish padres still are recognized as huge historical figures. Their names are everywhere. 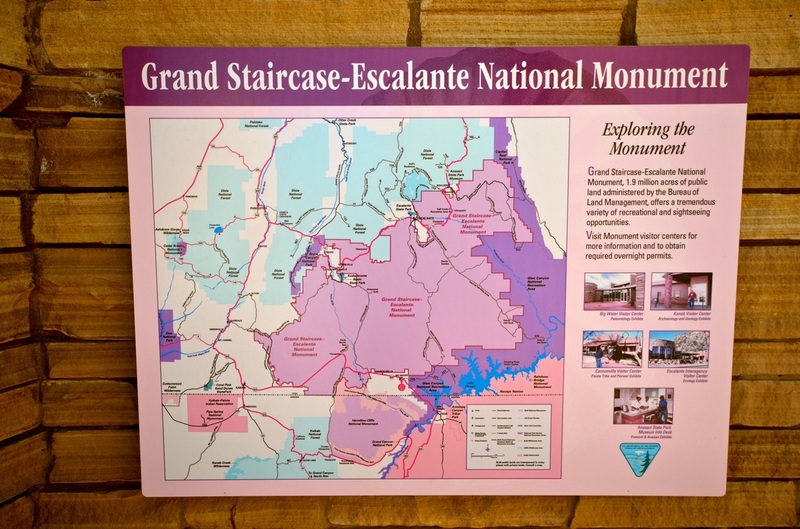 We have a national park, the Grand Staircase-Escalante National Monument; a town and a river called Escalante; a mountaintop, Padre Point; and Padre Bay, on an astonishing lake that now hides the spot where the two fathers made their historic river crossing in 1776. 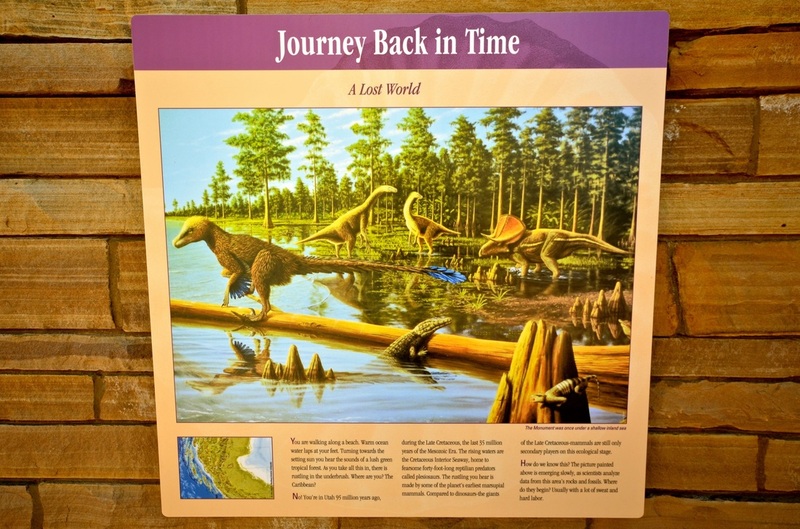 Maps of the area still mark the site of the "crossing of the fathers," although the shallow river passage the padres discovered is now several hundred feet under Lake Powell — an extraordinary water mass created by a dam built on the Colorado River in 1963. 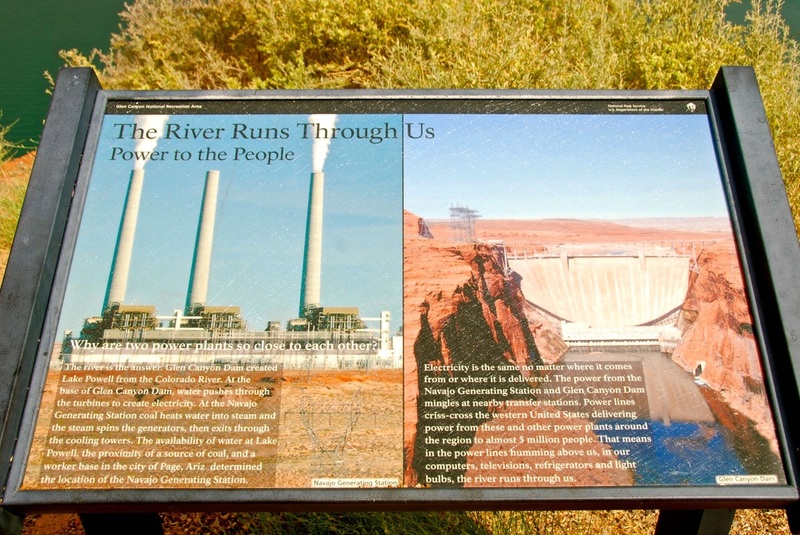 It took 17 years for Lake Powell to fill — reaching its high water mark on June 27, 1980 — but construction of the Glen Canyon Dam, just a few miles upstream from "crossing of the fathers," eventually flooded the Hispanic heritage that was carved in stone there — literally! When those in the Dominguez-Escalante expedition found a possible ford on the river in November 1776, they had to chisel steps on the canyon wall in order to climb down — with their livestock — to the banks of the river. Battered by snowstorms and abandoned by their Native American guide, the two friars and their eight companions had given up on establishing a route to California and were trying to make their way back to Santa Fe. But when they created that crossing, they carved themselves into history. 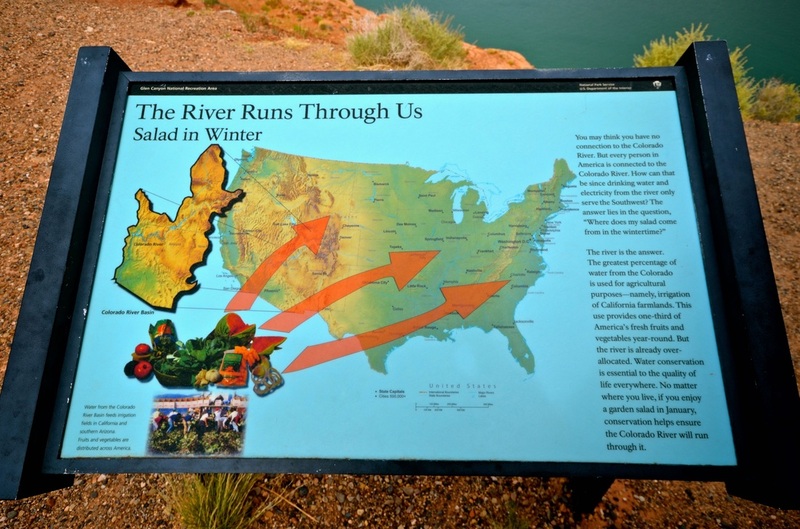 On their way to California, they had avoided the steep canyons banking the Colorado River by going north from present-day New Mexico through western Colorado, west across northern Utah and back south along western Utah to its present-day border with Arizona. But heading back east to Santa Fe required crossing the Colorado in an area where the river was impassable because the canyons seemed impossible to ascend. Having traveled for six months with scarce water and having to eat their own horses to survive, expedition members fired their guns in celebration when they finally crossed the Colorado and headed back east to New Mexico. They returned to Santa Fe on Jan. 2, 1777. 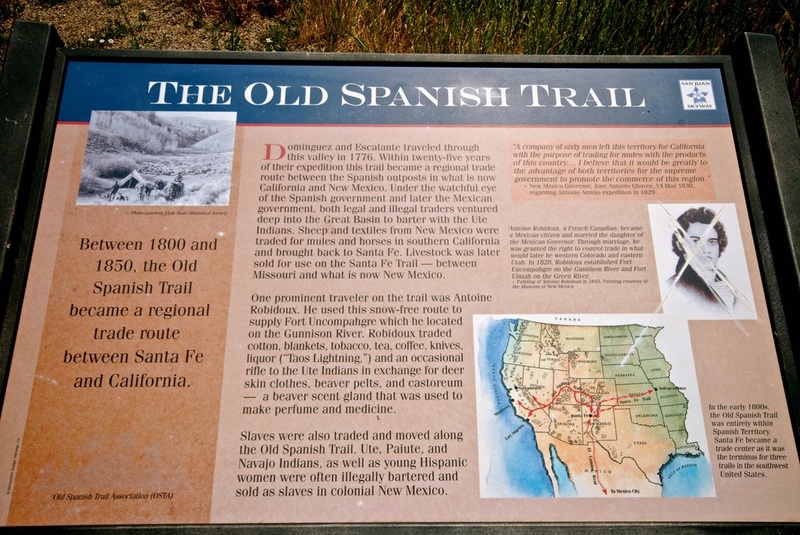 Although they never reached California, their 1,800-mile journey was not considered a failure, because the journals they wrote and the maps they created guided other explorers to establish the Old Spanish Trail, a trade route from Santa Fe to California, some 25 years later. 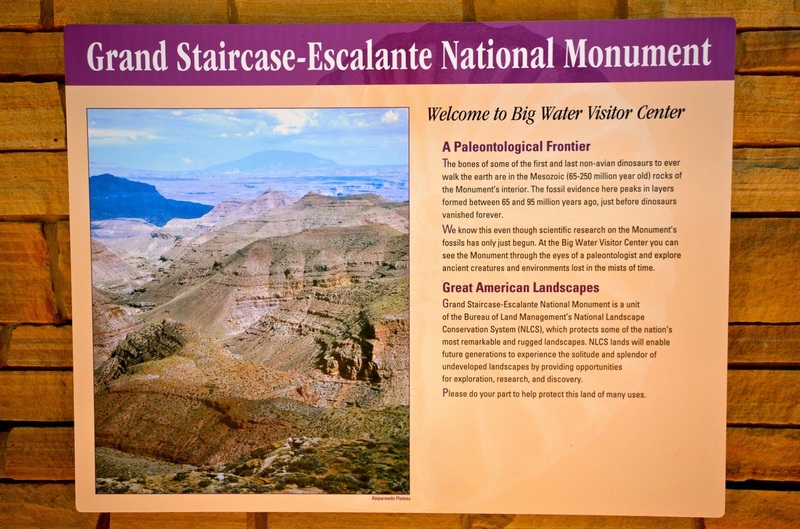 The river passage they discovered and the steps they carved into the canyon wall became a popular Utah historic site and landmark of our Hispanic heritage until the Glen Canyon Dam flooded the crevices between the canyons, created a massive and most unusual lake, and left the Dominguez-Escalante staircase some 500 feet under Padre Bay. Yet the historical significance of the "crossing of the fathers" has not been lost here. 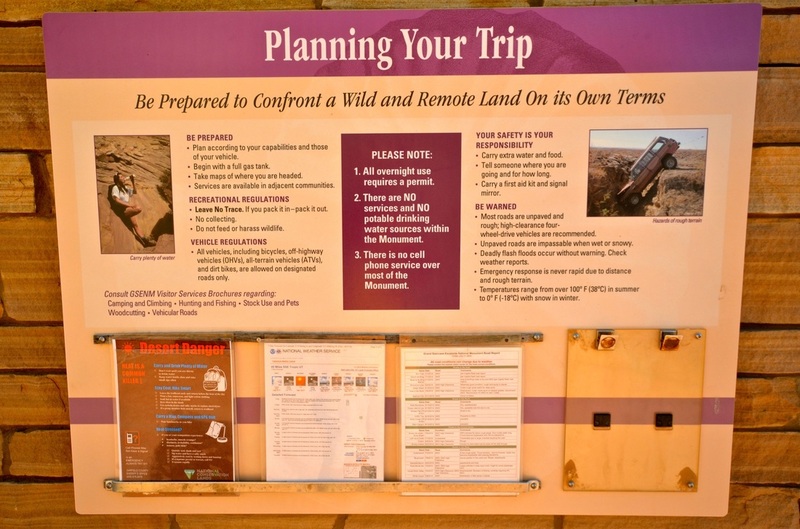 In northern Arizona and southern Utah, local folks know exactly where it is and what it means. And the fact that it is now submerged underwater makes it even more fascinating for tourists, who take boat rides on Lake Powell — drawn by its unique beauty and history. 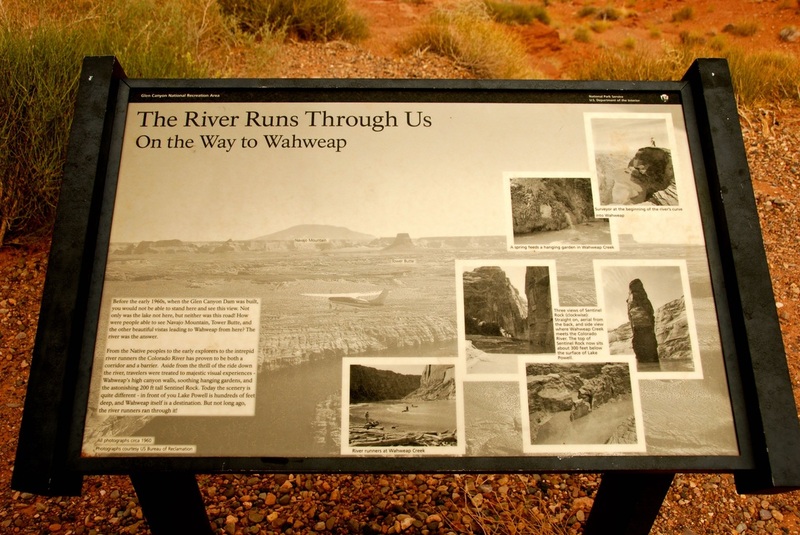 When the Great Hispanic American History Tour went searching for the "crossing of the fathers," on a ferry ride of Lake Powell, there were no words to describe the extraordinary images my camera was capturing. The Gulf Coast sunsets were astonishing. The Florida creeks were just as beautiful. The San Antonio missions were remarkable. San Xavier del Bac was heavenly. But when I got to Lake Powell, it felt as if I had landed on another planet! Imagine filling the Grand Canyon with water and then going on a boat ride. 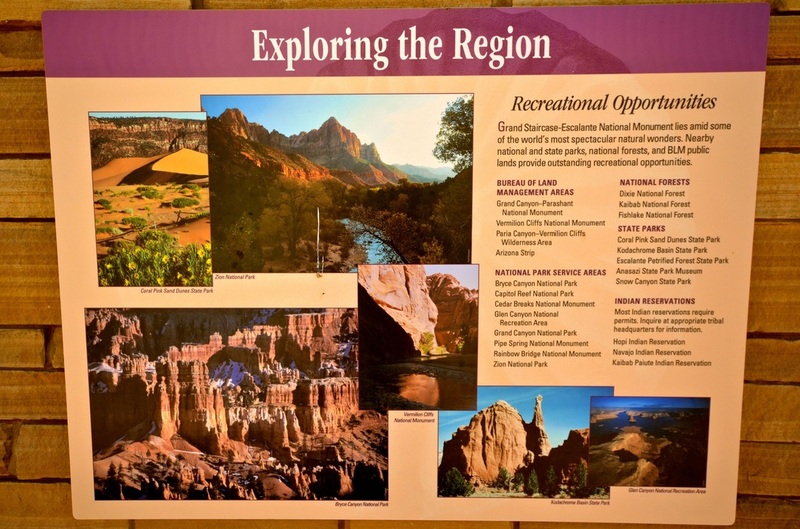 Imagine aqua-blue waters banked by rock canyons in numerous shades of rustic red. Envision exotic murals painted on the canyon walls by the lake's fluctuating water levels. I could not stop taking pictures. But when I asked a ferry crew member how I could get a good look at the "crossing of the fathers," much to my surprise, instead of sending me scuba diving, she sent me to a mountaintop. "If you really want to see the father's crossing," she said, "you have to go up to Alstrom Point." Of course, that was the last thing I needed to hear, especially because it would take me two more days to get up there. On my first day driving into the Utah wilderness — many miles from civilization and out of range of cell and GPS service — I got lost and ended up driving on treacherous dirt roads to the top of the wrong mountain. In retrospect, it was quite an adventure. But alone and nearing sunset, it was also a bit scary. On the following day, I got better directions, conquered the unmarked forks on the dirt roads, prayed that it would not rain and erase the tire tracks that made the roads distinguishable from the rest of the desert, and made it all the way up to Alstrom Point, 4,413 feet above sea level and with a breathtaking view that confirmed my earlier reaction: I felt as if I were alone on another planet. It was both exciting and scary. There was not another soul for miles as I parked my car on the mountaintop and slowly made my way to the edge, constantly checking my footing while looking for angles for more spectacular photos. However, I'm not looking for any more ways to describe them. You simply have to see my pictures at http://www.hiddenhispanicheritage.com. While searching for our hidden Hispanic heritage, I took a few daring turns along the way, but I found "America the beautiful." Next week, the Great Hispanic American History Tour heads east to San Luis, the oldest town in Colorado — founded by Hispanics, of course. 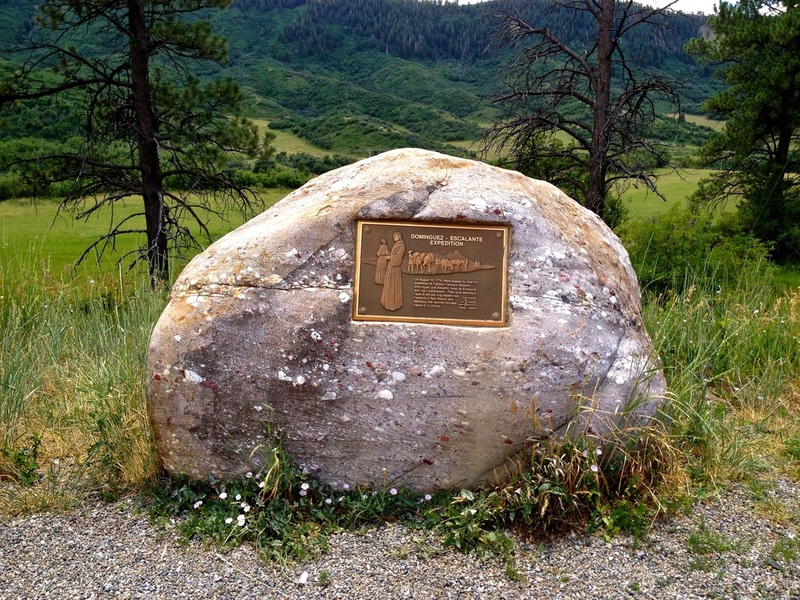 Site of "Crossing of the Fathers:"